VP3 of Q has had a new transmission so it's no longer overrevving. Pleased to see that the kickdown is still fully functioning up to 2000rpm so it's a reasonable performer. It's now the same as VP2. I don't know what they've done to VP1 but it's a very nippy Volvo with a surprisingly decent hill performance. The idle is much higher than the standard 500rpm. 18252 making a crazy turbo noise yesterday and it was flyyying! on the 106, seems like it has been uprated. DW39 is one of the BN's best DWs (aside from ex 19 DWs). It is unrestricted, fast and sounds great while in motion and it looks nice too. Majority of the ex 19 DW's are great but IIRC, DW118/DW119 (can't remember which!) is dead slow so possibly restricted. DW118 probably. It is awfully slow. Are you sure it's the transmission that's been fixed and not the auto clutch? If a new transmission has been fitted I would guess it may now be a five or six speeder replacing its unique four-speed ZF (for a B7TL). TP445 sounding great but not very fast. I wonder why these TP's are so inferior to the older TPL's, in general. 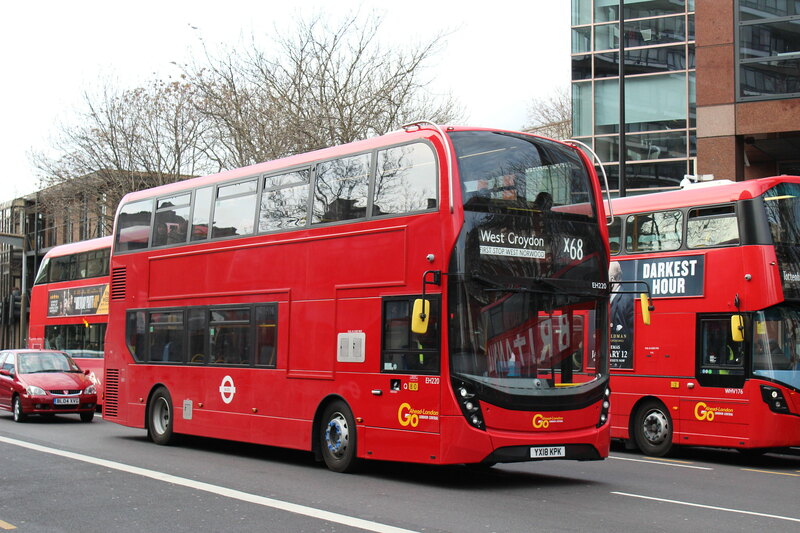 as im still in secondary school i dont have much time to explore whats going on in the bus enthusiast world, however, go ahead london WVL244 i think should get a extra mention. The X26 Citaros are all rockets, the driver maxed the one i was on today at 56mph across the Croydon Flyover today with full kickdown before hand. I found that to be the case with Stagecoach's Citaros as well, especially when kickdown is enabled . PVL113 on route 118 overtaking one of the T's on the 250. Still has bags of power. DW124 & DW125 on route 50 both getting thrashed, approaching 40 mph down Melfort Road. TE1098 on 210 was very quick. The clear section (around Hampstead/Kenwood House). Hit at least 45 with ease!